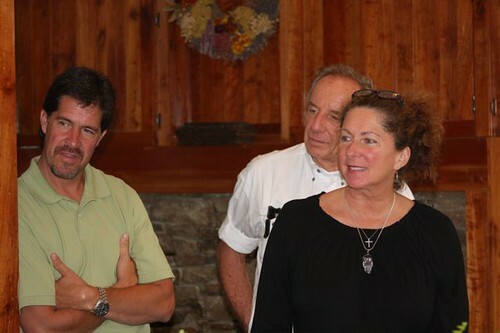 Tag Archive | "New River Winery"
Our latest International Investment & Business Seminar here in Ashe County, North Carolina looked at International Investment gains that were up 14% in the first six months of this year. When these seminars begin… there is always a hint of excitement. Thomas Fisher has flown in from Denmark. Our webmaster, David Cross, has arrived from Oregon and delegates have come from all over the world. We’ll look at some of the international investments we view (including Ecuador opportunity) but let’s also allow some of the delegates to tell you how they felt about this seminar. we drive into West Jefferson where we conduct the seminar. We are casual at our international investment seminars but serious. Many delegates make international investing and business… even lifestyle decisions based on the economic updates we share, so I and our other speakers, Thomas Fischer of Jyske Global Asset Management, our webmaster David Cross and Merri have spent enormous time getting prepared. 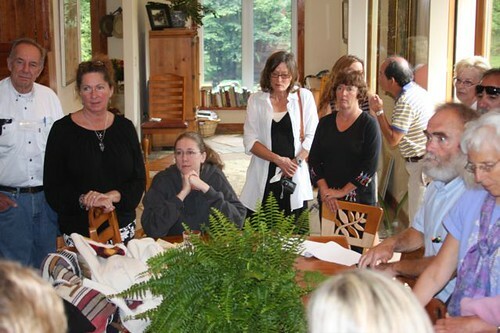 This year our July North Carolina course was conducted at at the Ashe County Arts Center in West Jefferson. 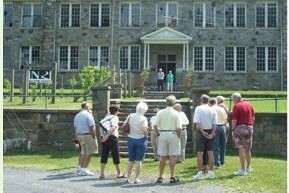 The Arts Center is housed in a historic WPA building featuring a gallery so we share our information amidst local art and crafts, statuary and exhibits from over four-dozen artists. Here is some of the art we saw. The seminar began with a historical review that led us to three places to invest now. #1: Multi Currency Sandwich in value markets, emerging markets and wellness. #3: Real Estate in the US and Ecuador. Plus we saw why many of us would need our own business. The first historical fundamental we covered was a way to predict where markets might go next. We saw for example that the Dow has moved in approximate 15-17 year up and down cycles for over 100 years. We viewed how the Dow appears to be in the 10th year of a 15 to 17 year down cycle that began in 1999. We compared the last two years of this cycle, with the equivalent period in the 1968 to 1982 bear cycle. We saw an amazing 93% correlation between then and now. The chart below from Moore Research compares the Dow from 1976 through 1978 to the Dow of the last 18 months. The Blue line is what happened in the equivalent period in the 1970s to now. Hello Merri & Gary, Now that I am back home and settled into the normal routine, it’s time to drop you a line to say how much my brother Rick and I enjoyed attending the conference last weekend. 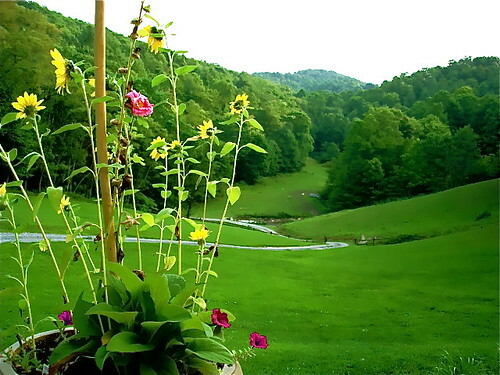 Experiencing the beauty of Ashe County and the pleasant disposition of the people who live there contributed to the picture of the place that you paint via the letters and photos sent out to your readers. Not only was the information presented there of great value, but Rick and I found that all of the other participants we met are great people indeed, just as you’ve mentioned. Your ability to attract like-minded souls is a service in itself, and one that provides lessons we can all strive to emulate going forward. Thank you again for providing the opportunity of meeting you both in person; I will begin to make use of the information to enhance my own life and look forward to seeing you both again some day. Best wishes. Then we looked at the multi currency sandwich and how you can currently borrow US dollars at 3% to invest the loan in higher yielding shares and bonds. Pound loans are 4%. We also saw how the British pound was a potentially undervalued currency versus the US dollar. We looked at how Jyske Global Asset management’s Low Risk Portfolio with a 100% loan rose 11.4% since 2009 or at 23% per annum pace. Then we reviewed an 18% six month profit with 4.75% ISS Capital 2010 bond (or growth at 36% per annum pace). We reviewed a 7.25% Bombardier 2016 bond. that offered a longer duration and higher spread of 3.5%. This led us to a multi currency sandwich with $100,000 invested and $50,000 US$ loan at 3% and $50,000 loan in British pounds at 4%. The $200,000 was invested $100,000 in US the 7.5% dollar bond above. $50,000 was invested in a Pound denominated bond issued by Hungary due 2016 and yielding 10%. $50,000 was invested in British shares because Britain is one of the best valued major markets at this time. Merri, My wife and I would like to thank you and Gary for a wonderful course. We thoroughly enjoyed all the information presented by Gary, Thomas and David. And we thank you for your hospitality with having us to your lovely “piece of paradise” in Lansing. The lunch was delicious and your presentation of import/export items was quite interesting. We look forward to visiting Ecuador in September of 2010. And we look forward to visiting and staying at your hotel in Cotacatchi. We then reveiwed the best and worst value equity markets around the world and saw that the best valued major markets are now Austria, France, Germany, Italy, Singapore and the UK. Here is what another delegate had to say about this seminar. In another session we looked at the importance of investing in the environment. We saw three ways to gain from sustainability changes ahead. #1: Adaptation. Investing in solutions to health problems is an example. Poor food produced in our central food system creates blood sugar problems, so Novo Norsk a Danish company that is the largest producer of insulin makes sense. #2: Mitigation. Cleaning up the mess humanity offers profit especially with water. Hyflux, a Singapore company, and Kurita Water, a Japanese firm, both have potential in this field. #3: Structural Change. Vestas Wind Turbines is a Danish company and is the largest maker of wind turbines to produce energy. 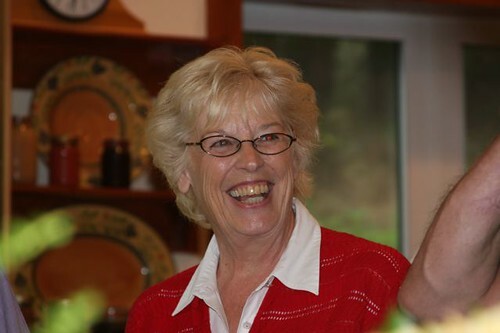 As a retiree who saw her retirement sustain considerable loss due to the economy, I found the information you presented during the three days to be extremely helpful and showed a plausible way for me to have some recovery. Besides all of the relevant information, your emphasis on honesty and the importance of not to be deceptive was reassuring. The bottom line is, that what gave real value to the information we were receiving and what made us feel comfortable was, that we felt you, Thomas and David were all people of good character. Something that is very important to us. 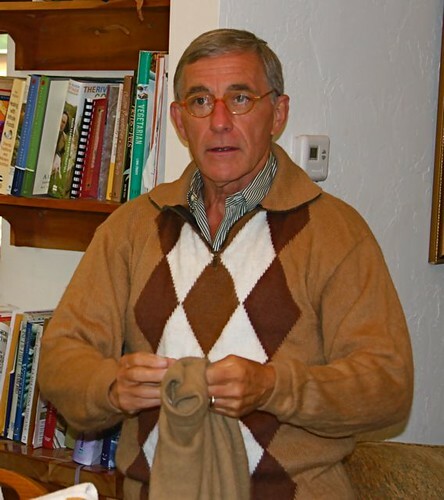 Thank you, Gary and Merri, for providing a wonderful Seminar. Sincere regards. On Saturday evening we drove to Lansing and looked at how small businesses can grow as we visited the New River Winery for a wine tasting. The winery is housed in another old WPA building which originally was the Lansing school. 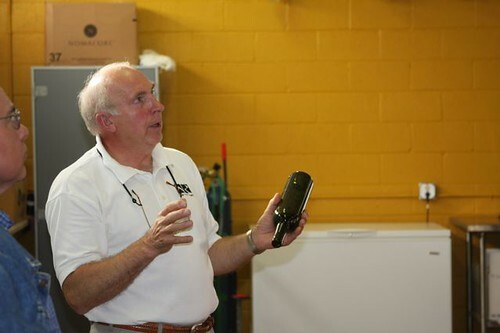 Here is Haskell McGuire one of New River founders showing us the winery. 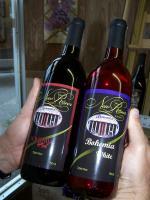 New River’s flagship wines are Bohemia Red and Bohemia White. These were followed by the introduction of signature wines, Back Porch Blueberry. 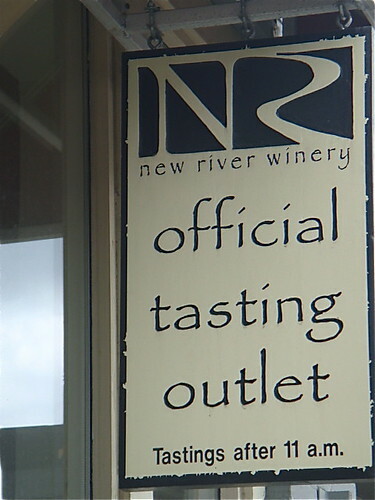 New River now has several new wines in production including: Pinot Blanc, Viogner, Hellbender Red, Lansing School White, Big Laurel Blush, and Seyval. The winery started small and is growing by leaps and bounds. Vineyards and wineries are one of the fastest growing business sectors in North Carolina. Dear Gary and Merri: We so enjoyed attending the IBEZ Seminar this past weekend in Jefferson, NC. We loved the high country area, the nice people we met and particularly enjoyed the visit and tour of the New River Winery. We were lucky to sit at a table with four utterly charming southern women, one of whom was Haskell’s wife. We had a long drive home on Sunday and were sad that we had to leave and not be able to join you and our group for lunch at your farm and sad that we missed Merri’s cooking. We hope someday in the future we may have the opportunity to visit your property as we heard it is quite beautiful. Then we began the international business sessions of the course and David began teaching how to use the internet in business. Throw away your briefcase: you’re not going to office. You can kiss benefits goodbye. Your new boss won’t look much like your old one. There’s no longer a ladder, and you may never get to retire, but there’s a world of opportunity if you figure out a new path. On Sunday we continued the course at our farm. Everyone was invited up to the house for lunch. We did a review of Ecuador export products. Like this leather coat and these baby alpaca sweaters. Hi Gary, Just a quick note to tell you again how much I enjoyed the seminar and seeing your lovely farm. I spoke to you briefly about deciding that I wanted the web course instead of mult-currency. Thank you for sending me that instead of the multi-currency. It may be two weeks, but I am starting to work on that site. I know from life experience that it is always better to focus on what you want to create instead of what you don’t want. So thank you for the buzz of creativity that you, David, and others from the group inspired. I am also interested in featuring the dulcamaras product on my site, along with testimonials. You mentioned a contact for that product. I would appreciate that information also. Smiles. Here is some Ecuador art that evolved from drum making. As the guests leave… in the dusk… there is always a moment of sadness. New friends made. Interesting ideas shared and now we are moving apart. Yet we’ll be back together again next seminar. Thank you again for a truly life changing and life enhancing weekend. And we also wish your loved ones a speedy recovery and good health. Best regards. Hi Gary, It was wonderful to meet you and Merri at the IBEZ Conference this past weekend! You both are so warm and caring and have a genuine desire to help the people of Ecuador and others to build a successful business. The classes were very insightful and jam packed with information and suggestions on how to start your very own web based business. You and David, your webmaster, presented the information in an easy to understand format that even computer dummies like me could understand. The multi currency investing portion of the class presented by you and Thomas Fischer from Jyske Global Asset Management were very interesting and educational. It opened our eyes to new avenues of investing that we didn’t have a clue about before. We also very much enjoyed the Import and Export portion of the class. 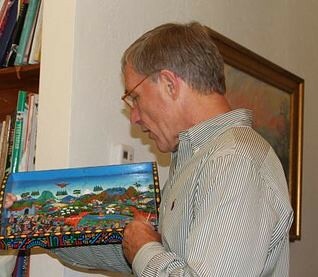 The items from Ecuador that you and Merri shared with us were very beautiful. I especially loved the bird art and would be very interested in importing some of these to sell. I am also interested in jewelry, leather goods, and the shawls like Fran was wearing in class (they were enhanced with the leather collar and leather applique). I think that custom made leather goods that are stamped, as you and Merri suggested, have good income potentials. We would like to thank you and Merri for opening up your beautiful home to the class on Sunday afternoon and feeding us such a delicious lunch. This was the perfect ending to three days of fun and sharing of ideals and suggestions on how to make money from investing in property and multi currency to building a successful web site business and Importing/Exporting from Ecuador for profit. Thank you and Merri so much for everything. We look forward to attending additional conferences. Take care and hope to see you again soon. Hi Gary, Just looked at your website for the first time and couldn’t hardly stop reading all the fantastic topics and the wealth of information you provide. One of the best website’s I’ve experienced. Don’t know why I haven’t looked at it sooner but am very happy I finally got to it. I read as many articles as I could in one sitting with limited time this morning and am anxious to get back to read more. Your life experiences and expertise is fascinating. It’s amazing how close your philosophy about life, work, investing, family, etc. parallels my own. I suppose international living, broad experiences with other cultures, diverse business experiences, etc., culminate in a certain way we view the world. Anyway, thanks for sharing so much excellent philosophy and expertise. This series, on Ecuador & organic wine and cheese, shows how big problems create big opportunities. This is the third message in this series on Ecuador and business opportunity in wine and cheese. See the first message at Ecuador organic cheese and wine. The second article in the series is at Ecuador organic wine and cheese. We are enjoying a quantum shift and the way we work, live, invest and do business will never be as before. Governments globally are trying to slow this needed economic transition and their stimulation efforts will most likely cause the loss of purchasing power in most currencies… global inflation. The best ways to gain opportunity in this scenario is to own real estate, commodities, stocks and your own business. The greatest asset we can have in the economic era ahead is an ability to serve… to produce a product or service that adapts to the new ways. Many of us cannot stop working… by circumstance or choice so why not do something we enjoy… live a life we like that pays its way. Here are excerpts from a USA today article “Mortgage crisis robbing seniors of golden years” by Stephanie Armour (link to the full article is at the end of this message). The worst economic crisis since the Great Depression has slashed home values and triggered an unprecedented surge in foreclosures across the nation. It’s also taking an especially harsh toll on an often overlooked demographic: seniors who are retired or nearly so. This population is being hit on all fronts. More than 600,000 seniors are delinquent or in foreclosure, according to AARP. A separate report by AARP found that 25.5 million seniors ages 50 and older have a mortgage. Unlike younger people, many are on fixed incomes and lack the money or job opportunities to catch up on payments when they fall behind. Even those who own their homes free and clear are finding they can’t rely on equity as a retirement nest egg because home values have dropped severely, especially in retirement-rich areas such as Florida, Nevada and California. Some seniors who had planned to sell their homes and move into retirement communities have had to postpone their plans because they can’t afford to take a loss on the sale of their current homes. Some older homeowners had been so confident that rising home values would provide retirement wealth that they neglected to save. Many others share his plight. Americans 50 and older represent nearly 30% of all delinquencies and foreclosures, according to an AARP analysis released in September. The analysis found that more than 684,000 seniors 50 and older were delinquent on their mortgages or in foreclosure. Among those, nearly 50,000 were in foreclosure or had lost their homes. The impact of subprime lending also has fallen disproportionately on those 50 and older. Older Americans with subprime first mortgages — those given to borrowers with less-than-perfect credit — are nearly 17 times more likely to be in foreclosure than Americans of the same age with prime loans, according to AARP. For those under 50, the comparable multiple is about 13. This whole group is going to be hugely dependent on Social Security, and people don’t fully appreciate the magnitude of the problem. Many younger readers I talk with feel that this is not just a boomer problem. The generations behind the boomers face educating their children, rising insurance and even less likelihood that Social Security will be meaningful. Yet many readers write and say they would like a lifestyle like Merri’s and mine… cool natural life in the Blue Ridge during the summer… wonderful spring time Andean weather during the winter. If you love wine… cheese coffee and organic, here is an idea. So does Ashe country North Carolina… and there is a special opportunity now. Somehow through fate wherever Merri and I move… no matter how far into the wild, espresso cafes follow. When we moved to Naples, Florida… there were none. Then they came and we left to West Jefferson and Ashe County. There was certainly no espresso shops there… when we arrived. 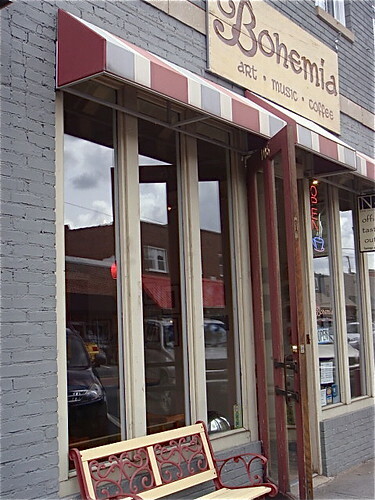 Not long after Bohemia Cafe and Art Gallery opened in town… great coffee… excellent cappuccino. Soon after Back Street Cafe opened with an Espresso machine as well. However I never expected a cafe with all the accouterments of Continental coffee to reach Lansing, North Carolina. After all Lansing only has a population of 192 people. Yet it did. Anne’s Place. a really great continental cafe in the middle of the woods! Merri and I rushed in the minute it opened.. actually we were the first customers. We were so surprised over the beauty, care and thoughtfulness of the cafe. It rivaled anything we ever had in all our years in London! The cafe had been opened by Anne and Haskell McQuire. Anne and Haskel are Ashe country natives who lived all over the world during Haskel’s career in the telecommunications field. They retired back at home in Ashe and started an organic winery and this cafe. Now for health reasons, Anne’s Place is for sale. Lansing is about seven miles from West Jefferson and 20 minutes from our farm. 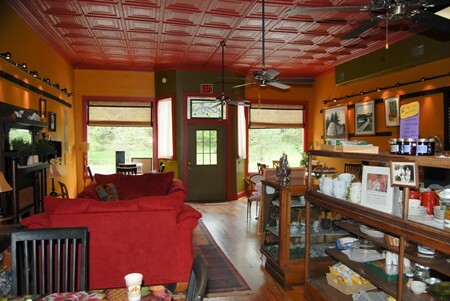 This is a really small mountain town and this coffee shop offers an opportunity to live in a low stress environment, with fresh air, clean water and friendly neighbors. Anne and Haskell did a really great renovation inside and out. They replaced the roof, plumbing, electrical system, put in a new hardwood floor and restored the old tin ceiling. They added a bathroom and painted everything top to bottom. This is a great looking and very smart place…beautifully done. There is a place to live upstairs. This is a nice opportunity for someone who wants to live in nature and have a small shop… but there is more. 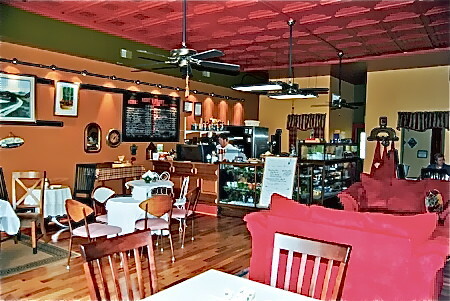 Anne and Haskel started both the coffee shop and a organic vineyard, New River Winery. 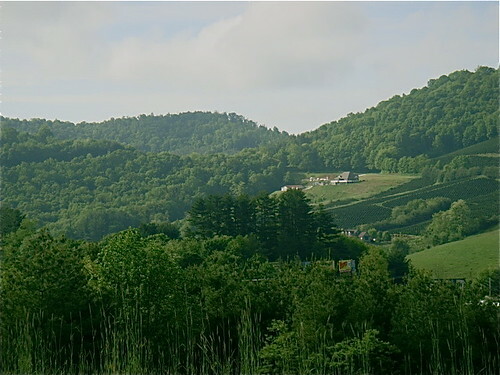 New River Winery is the first commercial winery in Ashe County, in Lansing near the headwaters of the New River, one of the oldest rivers in North America. The winery was founded in 2005 as a cooperative venture of wine lovers with a common tie to Ashe County and the Blue Ridge High Country. 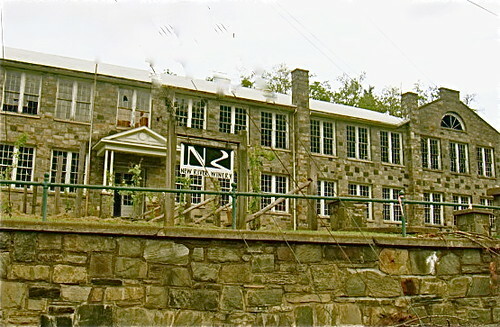 Its production facility is in the historic old Lansing School. 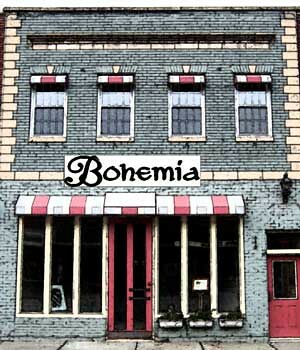 They have a tasting outlet at Bohemia Gallery in West Jefferson. 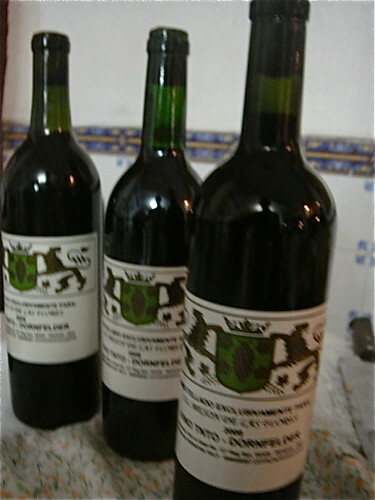 Currently the winery procures grapes from two local sources, one of which is a certified organic farm. Yet are we forgetting the cheese? Not a bit. Imagine this, Merri and I live in two really remote places. Both have great organic wine, coffee and… yes cheese. 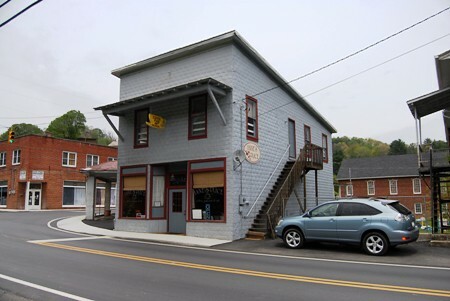 The winery’s second retail outlet, is Ashe Cheese Factory also in West Jefferson. 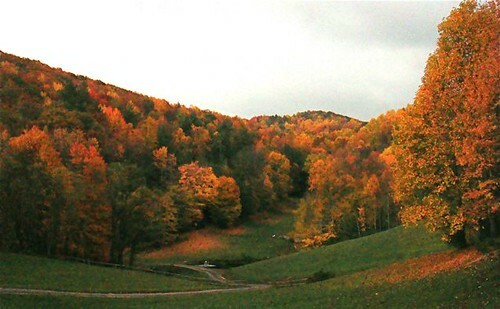 Ashe County Cheese is North Carolina’s oldest cheese plant, and has been producing quality cheese since 1930. “Yes, of course” was the reply. There you have it.. . ideas on business with organic coffee, cheese and wine…in Ecuador and North Carolina… deep in the woods… fresh air… pure water… agriculture and a low stress pace. Perhaps one of these ideas will create a helpful spark in you for a lifetsyle and business you love in Ecuador, North Carolina or both! Join us for our upcoming courses in North Carolina and Ecuador that show ways to earn income in this new economic era. We’ll visit Anne’s Place if it has not sold by then. Learn how to invest and do business globally at our International Business and investing courses. Join me with Thomas Fischer and Peter Laub of Jyske Global Asset Management and my webmaster David Cross. 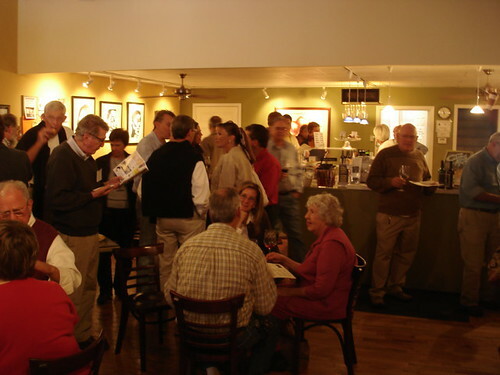 We’ll have a New River wine tasting at Bohemia Gallery as we did last year. here are delegates at that tasting. views. I took these from the hotel’s parking lot. 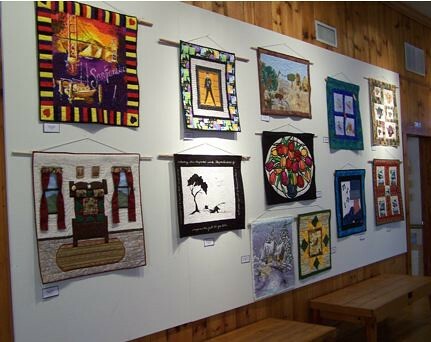 Plus the Hampton Inn is just down the road from the Ashe County Cheese Factory, Bohemia Gallery and 20 minutes from the New River Winery and Anne’s Place. See good value real estate in Ecuador. Delegates visit the Cotacachi Ecuador Organic cheese factory. You can read the entire article Mortgage crisis robbing seniors of golden years here. Ecuador organic wine & cheese started me thinking about a way some readers can have an interesting and fun business. Throw away the briefcase: you’re not going to the office. You can kiss your benefits goodbye too. And your new boss won’t look much like your old one. There’s no longer a ladder, and you may never get to retire, but there’s a world of opportunity if you figure out a new path. 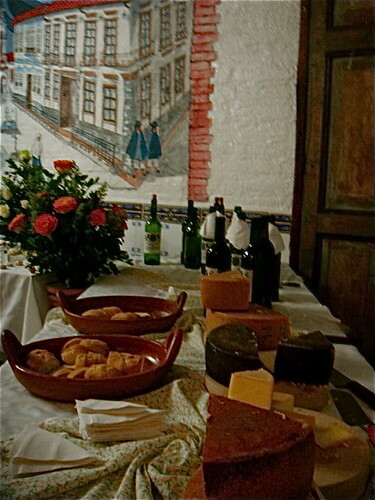 Ecuador organic wine and cheese being served at a wine and cheese reception hosted by Jyske Bank at our recent Ecuador Investment and Business Course. Even real estate, commodities and shares are at risk. In the end the greatest asset is your ability to serve… to produce a product or service that adapts to the new ways. This is why I am always looking for business ideas to share which brings me to organic… wine and cheese. One great coincidence is that though Merri and I live in two very remote mountain places, (Lansing North Carolina and Cotacachi, Ecuador) both are near a manufacturer of organic wine and cheese. 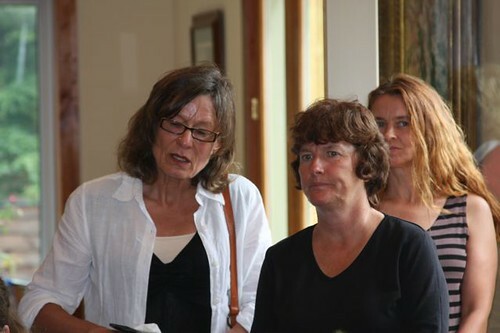 Our Ibarra real estate tour delegates have looked at a hacienda for sale that contains an organic Swiss cheese factory. The factory includes its own real cave full of Swiss cheese. 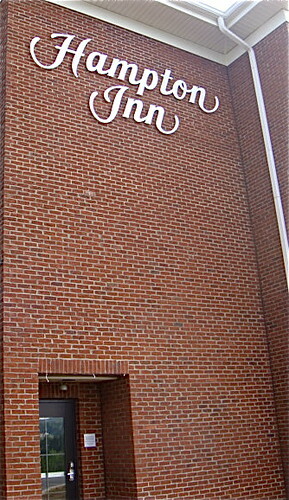 Here is the entrance to the hacienda. Here I am at the entrance to the cave. Here I enjoy a look round the cave! The factory produces 20 of these cheeses a day. Each sells for $30. In Lansing we are near the New River Winery lodged in the Lansing Old Schoolhouse. Here is the Ecuador wine and cheese business thought. Have a wine and cheese business in Ecuador and Ashe County. Many readers are like Merri and me. They want to live in quiet places. They want to work at something they love. They like coffee, wine and cheese. Why not offer tours to these interesting remote (AND inexpensive) places? A set of peculiar circumstances creates this dual wine and cheese opportunity now. 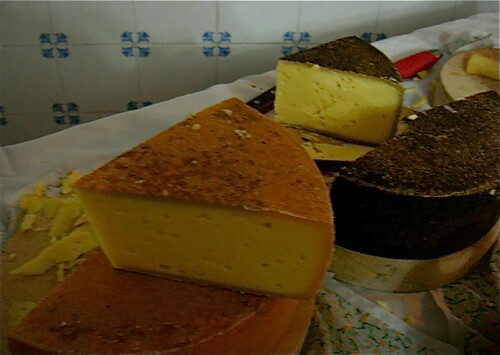 I explain why tomorrow and next day in Ecuador Wine and Cheese part II and Ecuador wine and cheese part III. Until then good business to you! Join us for our upcoming courses in North Carolina and Ecuador that show ways to earn income in this new economic era. Natural health tips here come from recent messages have been looking at health benefits in summer berries. These natural health tips come from some great reader comments and further thought. Merri and I pick and freeze enough blackberries so we can have pies and juice year round. Here is what a reader wrote a health tip about Blackberry acid. Acid fruits such as berries (other than OJ) create alkalinity in the body. Keeping the body pH balanced may be one of the biggest health tips there is in this fast paced acid world. One health tip is that Blackberry wine may be good for you. “My grandmother was a folk healer. She knew a lot about herbs. But her favorite medicinal potions were home-made wines, which she prepared herself. 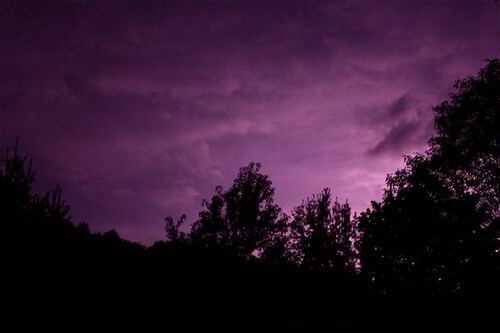 She favored black currant, elderberry and blackberry wine. Tart cherries and small, dark navy-blue grapes were also acceptable, but black currants and elderberry were credited with greater preventive and healing power. ‘For a strong heart and long life,’ my grandmother explained. 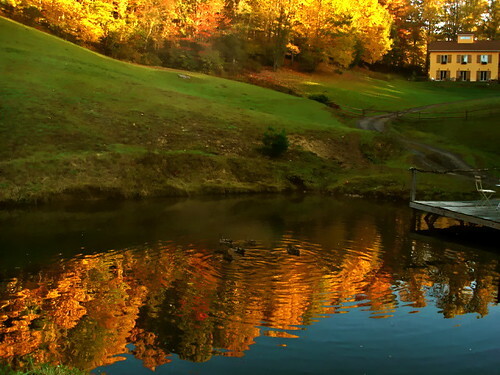 This brings us to one reason you may want to visit us here in the Blue Ridge. 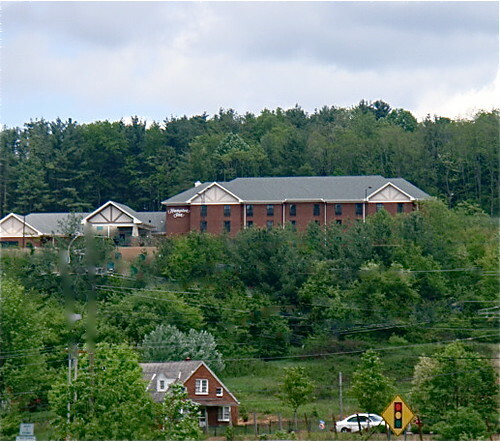 Nestled near us, the New River Winery is the first commercial winery in Ashe County. The winery is in Lansing, N.C., and is near the headwaters of the New River, the second oldest river in the world about 20 minutes from our farm. It was America’s first Heritage River. 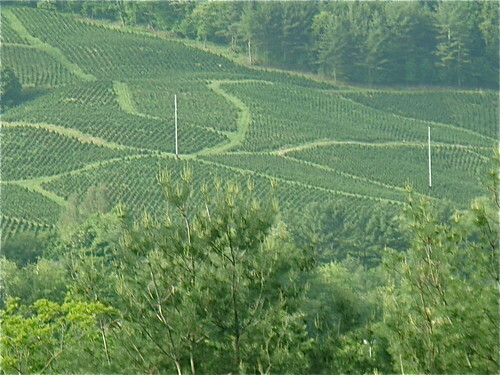 New River Winery has attempted to capture and reflect the essence and unique characteristics of the nature in this region in its wines and corporate philosophy. New River Winery was founded in 2005 as a cooperative venture of wine lovers with a common tie to Ashe County and the Blue Ridge High Country. The mission of the winery is to produce and sell high quality wines and have a great time doing it. 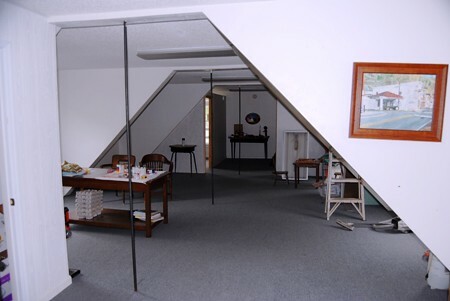 The winery is housed in the Old School in Lansing not far from our farm. Here is this wonderful old building. Their wines include Bohemia Red and Bohemia White, Back Porch Blueberry, Pinot Blanc, Viogner, Hellbender Red, Lansing School White, Big Laurel Blush, Seyval and even a little blackberry wine. 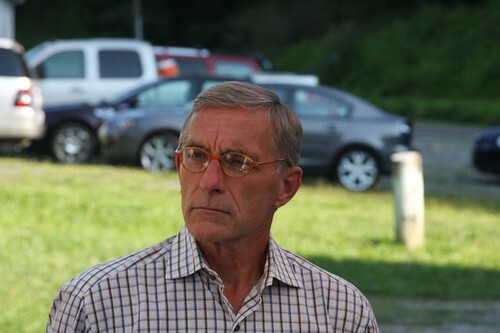 The President, is our friend, Haskell McGuire, who was born and raised here but served as the Vice President of Engineering and Operations for Bellsouth International. Currently, the winery procures grapes from two local sources, one of which is a certified organic farm. At this time they also purchase the blueberries necessary to produce their signature Back Porch Blueberry wine from a local grower in Ashe County. 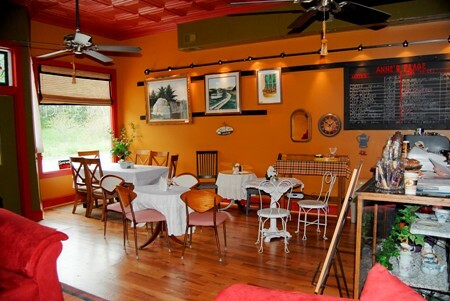 The winery has a tasting and retail outlet at Bohemia Gallery as well as a second retail outlet, Ashe Cheese, both located in downtown West Jefferson, North Carolina. Here is one final health tip from a reader comment. “Dear Gary, To begin with, the FDA recommended daily ORAC intake is 3000-5000. the remarks assume that the only anti-oxidants that you will take in would be blackberry/blueberry. the berry would still have value and it is a nice marketing gimmick. Why not dip your fresh fruit in liquid dark chocolate? “Fresh blueberries have high ORAC value-OXYGEN RADICAL ABSORBANCE CAPACITY. Normally being black and blue means you have been hurt. Yet in summer days “turning black and blue” can be a berry good natural health tip. Join us amidst the wild blackberries, blueberries, apples, pears, peaches and plums at the farm. While much of the U.S. burns up this summer we enjoy cool nights (mid 50s) sleeping under blankets without screens (translation-there are no mosquitoes here). Rarely does it reach 80 during the day and if it does a quick dip in the creek cools us right down. 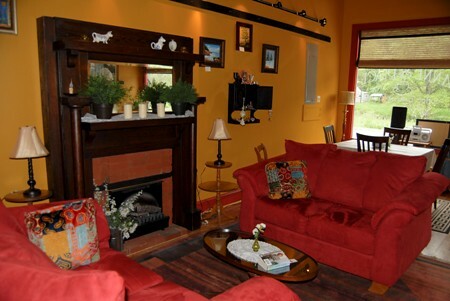 We have farmhouses, cottages, cabins and cottages you can stay in and enjoy. Rockers on the front porch (best for watching fireflies at night and eating sunny breakfasts), quiet pools to chill watermelon, waterfalls in which to soak, horses to chase, chickens and ducks to feed and we would enjoy meeting you. Everyone who comes wants to come back and right now we can treat you to some fresh blackberry pie! 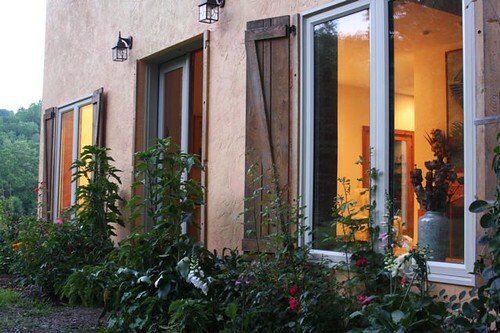 We have a space left for you to join us this August 15-17, to stay at our farm and learn about intuitive investing at Susan Rotman’s business intuition course.